In 2015, well over a million ACA Marketplace members processed through Acero’s software. Acero Health Technologies, an innovative software solution provider to national and regional health insurance companies, is pleased to announce the completion of another successful year of growth supporting clients participating in the federal and state-based ACA Health Insurance Marketplaces. In 2015, well over a million Marketplace members processed through Acero’s XpandHCR&#8482; software application. Acero’s software helped clients accurately identify eligible cost-sharing reduction (CSR) subsidy amounts incurred in 2015 well before CMS’ mandated, annual reconciliation filing. In 2016, Acero projects clients will use XpandHCR to calculate CSR amounts for approximately two million individual Marketplace members, representing over 15% of all enrollment. Acero’s XpandHCR addresses an issuer’s financial risk by calculating, in synchronization with an issuer’s core administrative systems, incurred cost-sharing reduction (CSR) subsidies or receivables according to the federal government’s “CSR standard calculation” method. Acero’s XpandHCR software processes claims data either in real-time or retrospectively to determine the percentage of an issuer’s plan payments that are eligible for federal or state reimbursement. Using the software’s configuration flexibility, issuers control the timing of the CSR processing to synchronize it with the issuer’s internal financial reporting requirements. Depending on the client, CSR processing may occur concurrently, monthly, or annually. In addition to the CSR aggregate data, Acero’s dynamic, scalable solution also provides the issuer with the underlying transactional data to support granular auditing for how calculations occurred at a claim line-level — a requirement for audit accuracy. While CMS offered issuers an interim, CSR “simplified calculation” method for 2014 and 2015, the “standard calculation” results quickly demonstrated to Acero’s clients how much federal and state reimbursements might be lost due to limitations in the “simplified” method formulas. Beginning in 2017, all issuers must comply with the CSR “standard” method. “While we’re pleased with our 2015 results, we also thrilled that clients see a direct financial benefit from using our software. We look forward to continuing our partnership with our clients to enhance our solution,” said Alan Merchant, CEO of Acero Health Technologies. For more information about XpandHCR, go to http://www.acerohealth.com/products/xpandHCR, or to speak with someone from our sales team about an online demonstration, please e-mail our marketing team (marketing(at)acerohealth(dot)com). Acero Health Technologies, an innovative information technology company, offers robust transactional software solutions to health insurance issuers. Acero’s solutions provide issuers with the means to leverage existing systems in solving for new business and regulatory challenges. The Acero team has significant insurance and technical experience developing sophisticated, enterprise software solutions for benefits administrators. 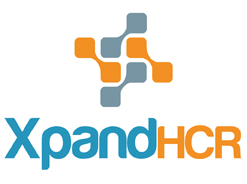 Acero’s PlanXpand&#174; engine powers several technology solutions including XpandCDH&#8482;, a powerful tool for issuer-administered consumer-driven health plans, and XpandACC&#8482; an application that facilitates real-time integration of shared accumulators across multiple benefit administrative systems. For more information, visit http://www.acerohealth.com.